With Nikon’s introduction of its Z-Series Mirrorless Camera System, the company has also introduced two new XQD memory cards in 64GB and 120GB capacity. Nikon said both cards — to be released in late September — boast a maximum read speed of 440MB/s and a maximum write speed of 400MB/s. No pricing information was announced. However, Nokishita, a Japanese web site, reported a price of approximately $160 for the 64GB card and about $262 for the 120GB version. Nikon released the new cards to work with its new Z6 and Z7 mirrorless cameras. The cards use PCI Express as a data transfer interface. The format is targeted at high-definition camcorders and high-resolution digital cameras. It offers target read and write speeds from 1 Gbit/s (125 MB/s) to about 4 Gbit/s (500 MB/s) and storage capabilities beyond 2 TB. The cards are not backward compatible with CompactFlash or CFast cards. XQD and CFast were both designed as a replacement for the CompactFlash standard. 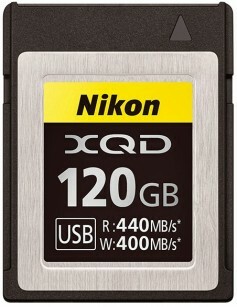 The XQD format was first announced in November, 2010 by SanDisk, Sony and Nikon, and was immediately picked up by the CompactFlash Association for development. Nikon has taken a big leap with its mirrorless format. The Z7 has a 45.7MP BSI CMOS sensor and EXPEED 6 Image Processing Engine. It delivers an image quality and speed with a native sensitivity range of ISO 64-25600. On the sensor, users will find an advanced phase-detect autofocus system using 493 points covering 90 percent of the image area and the sensor features five-axis Vibration Reduction technology for stabilized photos and video regardless of the lens used. The Z7, $3,546.90 for body only, features UHD 4K recording at up to 30p and can use the N-Log gamma profile along with the camera's 10-bit HDMI output to create cinema-quality video. The camera's high-resolution sensor also permits the use of an 8K Time-Lapse mode. Full HD 1080p video recording is also supported at up to 120p for slow motion playback, and video files can be saved to the in-camera memory cards or as an uncompressed file to an optional external recorder via HDMI out. 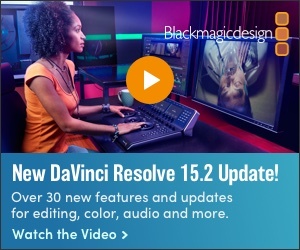 Advanced video functionalities include the N-Log gamma for capturing flat-looking footage that maximizes dynamic range. Other additions are the ability to output high-quality 10-bit data over HDMI and an Electronic VR function for smooth handheld shooting. Focus Peaking can be used to benefit manual focus control and a Zebra Stripes option is also available to help detect over-exposed areas within the frame. Audio recording can be handled using the built-in stereo microphone or an optional external mic can be added via the 3.5mm stereo jack for greater control over quality, and live monitoring is possible via the headphone jack.